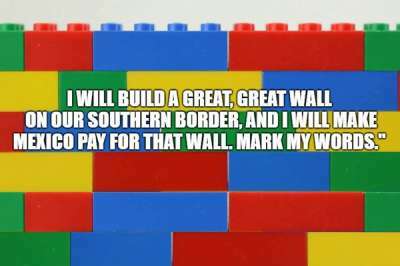 “The Lego Solution” is something Nancy Pelosi agrees with. We all know how Pelosi feels about “the” Wall. After meeting with Trump and Chuck Schumer over the impending government shut down, she made a statement about Trump’s manhood, and then the gloves (or in Pelosi’s case, the earrings) were off, power sunglasses on. So, while most Americans were trying to decide if they liked the sturdy-looking wall that costs way more than the slatty-kinda wall (that costs “less” because it will take steel to produce, and we all know what prices China is charging us for steel these days), well, it was a tough decision. I mean, cost-consciousness without a soul, or give Americans jobs by allowing them to manufacture steel here so that more steel can be made, not to mention the shipping costs we’d save. Do you know how much it costs to ship enough steel slatty-things from China to build “a wall” from California to Louisiana? 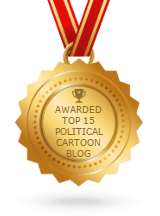 Way more than…oh hell, you get the picture. It is the government. They are expected to pay more for less. Speaking of which, did we ever get that $640 toilet seat cover issue fixed with the Pentagon? Well, as we mentioned before, Pelosi was furious at the President for seemingly ruining her Christmas with her family. She was looking forward to a relaxing time especially with her grandchildren who call her Madam Speaker, in a familial sort of way. “Wow!” exclaimed Nancy. “That’s it.” Before you could say “Mr. Gorbachev Tear Down That Wall!” Nancy Pelosi was on the phone with the folks at Legoland in Winter Garden, FL asking them how many Legos they had. When all was said and done, there was a new proposal on the table. Pelosi flew back to Washington that evening, knowing she would find the President alone in the Presidential living area, drinking eggnog and contemplating his next tweet. She approached his room, knocked on his door. He opened it, but when he saw who was on the other side, he began to close it. And then, as if by magic, he noticed a bag of colors. 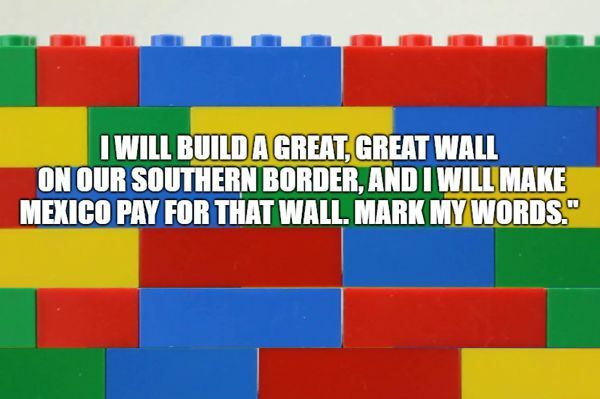 Bright reds, blues, yellows, in tiny brick shapes and he realized, in that split second, the “wall” he wished for so badly was the wall his daddy kicked over a long, long Christmas ago. But how? How could Nancy have known that was what he wished for all his life? A wall made out of Legos.